Propose and develop actions to strengthen professional equality in the field of architecture. 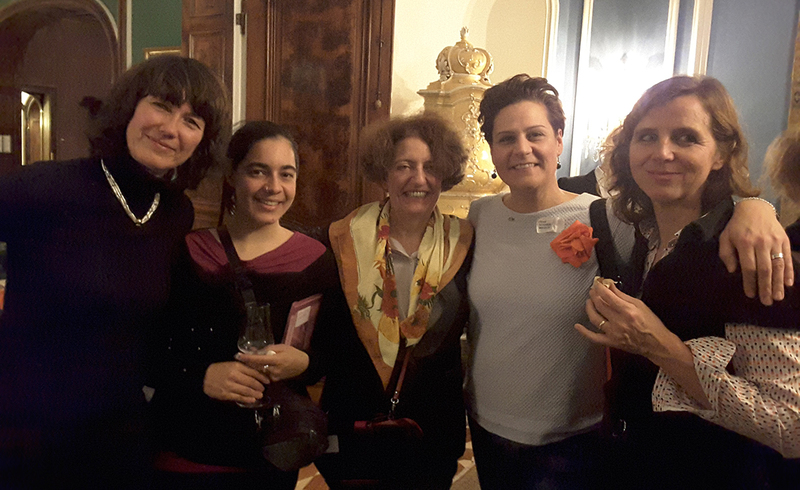 Women In Architecture fr was created following more than 30 years of reflection on the place of women in the field of architecture led by ARVHA at the national and international level. Graduated from the Paris la Villette School of Architecture in 1981 and graduated as an urban planner in 1895, she and Luc GIVRY founded the ARVHA Association pour la Recherche sur la Ville et l’HAbitat in 1993, which she has led since 1997. 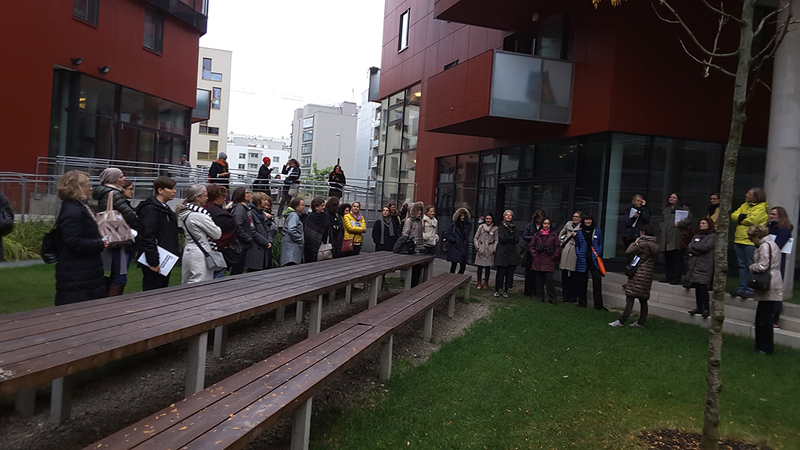 It offers training courses for architects in order to reintegrate them into the world of project management, but also on business creation, then it launches many European projects, including the first on New Opportunities for Women on women architects. She created the first French prize for women architects in 2013, which continues to this day. She works on the issue of professional equality in the building sector and, with her partner Luc GIVRY, she participates in European and national projects. Since 1998, she has organized exhibitions on the promotion of women architects on an international scale and participates in the Women in Architecture group founded by Angela Brady, President of RIBA in London, she organizes conferences and exhibitions on women architects as in 2008 with Belgian, Moroccan, Algerian and French women architects. In 2012, she conducted a study on professional equality in architectural agencies in France and noted serious inequalities on issues of remuneration and the lack of promotion of women architects in France. 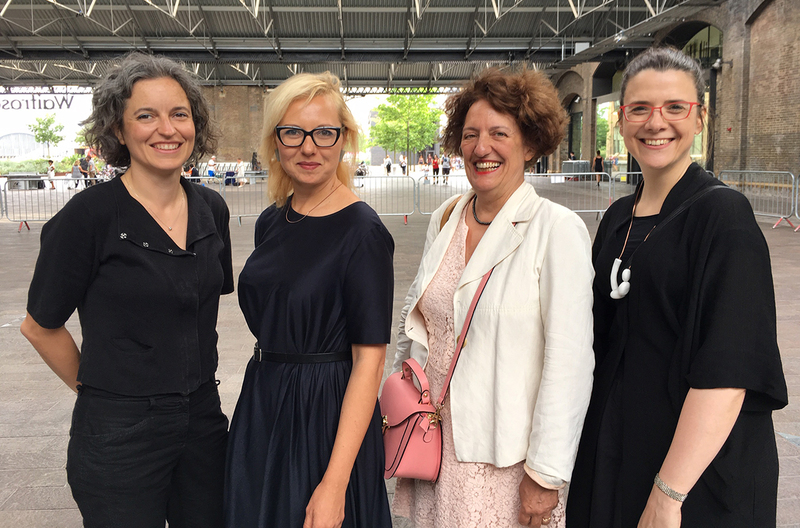 In 2013, it launched the French Prize for Women Architects, which is increasingly successful, with more than 300 applications each year. Since 2017 this prize has had an international component. It is supported by the Ministry of Culture, the Ile de France Region, the French Institute, the Order of Architects and private sponsors. 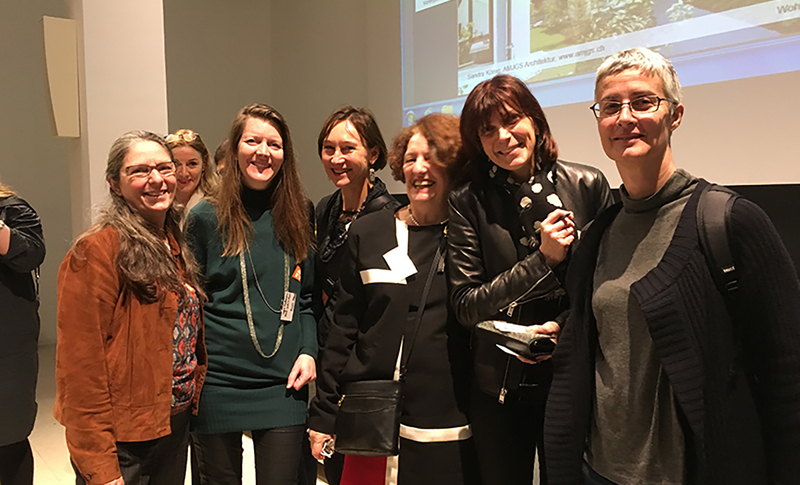 In March 2018 she created Women in Architecture Fr by bringing together national and international associations of women architects and contributed to numerous conferences in Europe on the question of the place of women in the architecture sector. Urban architect DPLG, she graduated in 1990. Her studies have led her to attend various schools including Strasbourg and Paris-Belleville. This experience of diversity has been extended by a dual professional career that began in 1991 with Bernard Tschumi, urban planners Architects (BTuA) in Paris and New York to collaborate in the agency’s competitions. That same year, the agency was selected as the winner of the project for the development of the Jardins d’Entreprises in Chartres on 220 ha and the project for the Studio National des Arts Contemporains du Fresnoy, a multimedia school in northern France. In 1993, she installed the retrospective of the agency’s projects in the existing buildings of the future Studio National des Arts Contemporains in Le Fresnoy. This exhibition was presented in 1994 at MoMA in New York. Since then, she has worked on most of the agency’s projects, including the School of Architecture in Marne-la-Vallée won in 1996, the Zénith in Rouen in 1998, the Vacheron & Constantin Headquarters and Manufacture in Geneva in 2001, the 6,000-seat Zénith in Limoges in 2003 and the finalist project for the redevelopment of the Seguin Island in Boulogne Billancourt. 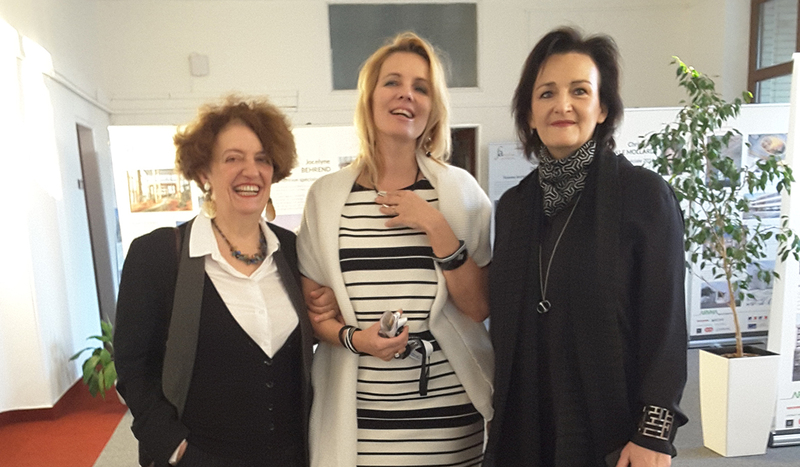 Together with Bernard Tschumi, she manages the Parisian agency as a partner of BTuA. In an ever-changing world, where human intervention often threatens natural environments, we must question ourselves about what it means to build. Véronique Descharrières has forged her experience working on large scale projects with the BTUA agency, both in France and abroad. She now seeks to promote architectural research built on collective thinking. For this reason, she has created the Paris-based VEDEA agency, an innovation driven working group involving a network of experts and researchers. With her partners, Véronique Descharrières works on construction projects that aim to preserve and protect biodiversity. Several ambitious projects showcase Véronique Descharrières’ commitment to ecological projects driven by innovating technologies. Those notably include the Vincennes Zoological Park in Paris, The St Martin Caribbean Institute in the French West Indies, and on a larger scale, the Yanshan International Ecological World project in Beijing. Working with multidisciplinary teams committed to the protection of biodiversity, Véronique Descharrières aims to anticipate all possible forms of negative human impact on the environment. She does this with one idea in mind: Working towards an integrated and harmonious balance between all living species, including the human being and educate future generations and hopefully change behaviours for this aim. Véronique Descharrières has also taught at the École d’Architecture de Normandie and is a lecturer at several schools of architecture or institutions. Architect, the story began in 1992 under the acronym BFT and continued in 2008 with SBBT. She manages and develops her agency with Benoît Tribouillet, her friend and colleague. Curious from school onwards, Sophie Berthelier prefers to attend aeronautical exhibitions rather than focus on the physics of materials. Her instinct taught her to identify at an early stage the little-used complexes, honeycombs, various polymers and other textiles that titillated her. A degree in art and technology in the early days of computer science in the architectural community gives him an unsuspected power. With Jean Nouvel, magic works, allowing him to develop large-scale projects in which his intuition of matter is revealed. A game of reflections, mysteries. Already the will to make the shocking technique disappear and the constant concern to please, to give a little more to dream and live to anyone, user, visitor, inhabitant, teacher or student’ The cinema feeds the approach. Fassbinder, Wenders, the greats of the time, inspired this work based on sensations, the seduction of the shot/images and framing. How to ignore contemporary art’ With the same faculty of discovery, Sophie will become a collector. The Donald Judd, Soto or Joseph Beuys may have escaped him, but the spirit, the power of space setting or signs are found in a natural and mature way in the achievements that follow. In his eyes, the gaze always prevails, supported by invention. A parallel story is played out that highlights use and appropriation, going far beyond the sacrosanct law of the floor/wall/ceiling. This commitment was rewarded in June 2012 by the Dejean Prize for cutting-edge techniques adapted to architecture awarded by the Academy of Architecture. One research leads to another. Gradually, a fund is being set up to intervene at the desired time, with the support or resistance sometimes of industrialists and project owners. Another debate. From an inventive, paradoxically timeless universe, to production, the step is taken to produce other particular universes, each telling its own story in a specific context. Its bronze chips recovered and dipped in resin protect its buildings from the sun; its extruded anodized aluminum sheets slide to close large outdoor terraces; its crumpled copper sheets passed through a torch dress a chocolate shop. A poetry emerges from these atmospheres that goes beyond usage. The work developed is not limited to the construction of buildings but is developed on fabric collections or on furniture design.